Due to the significant amount of chickpeas it applies for all the healthy benefits of chickpeas as well. It is high in plant-based protein and dietary fibres (see my article about fibres here). 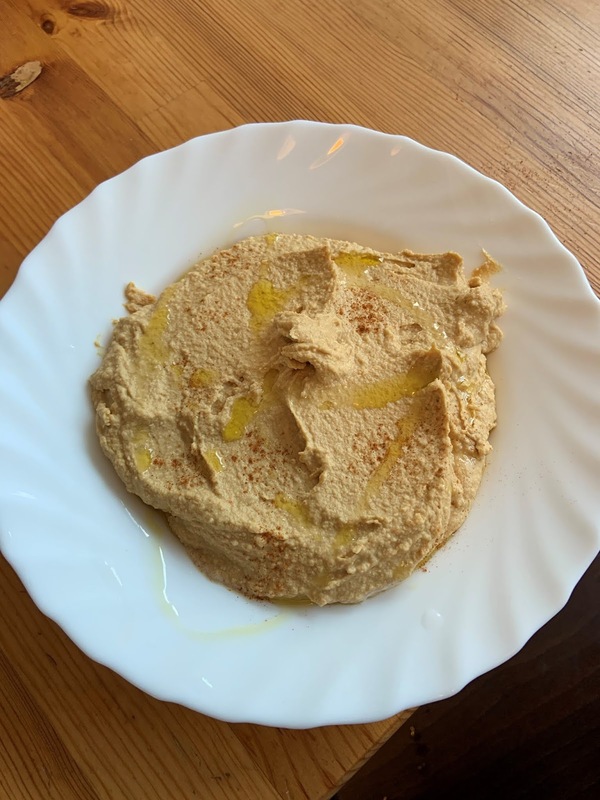 Additionally it is high in folate and vitamin C. With the garlic and lemon juice inside it also fights inflammations in your whole body and tahini and olive oil provide lots of healthy fatty acids that can protect your heart and help you to get leaner and physically and mentally fitter. How can you use hummus? First of all, you can use it as a perfect dip, that you can enjoy with freshly cut vegetables like carrots, ball peppers, kohlrabi, cucumbers etc. But there is more...it also fits perfect as a spread or you can use it as an ingredient to various dishes to give them an oriental touch. Hummus goes pretty well with falafel like in a wrap or on a sandwich and chicken, too. 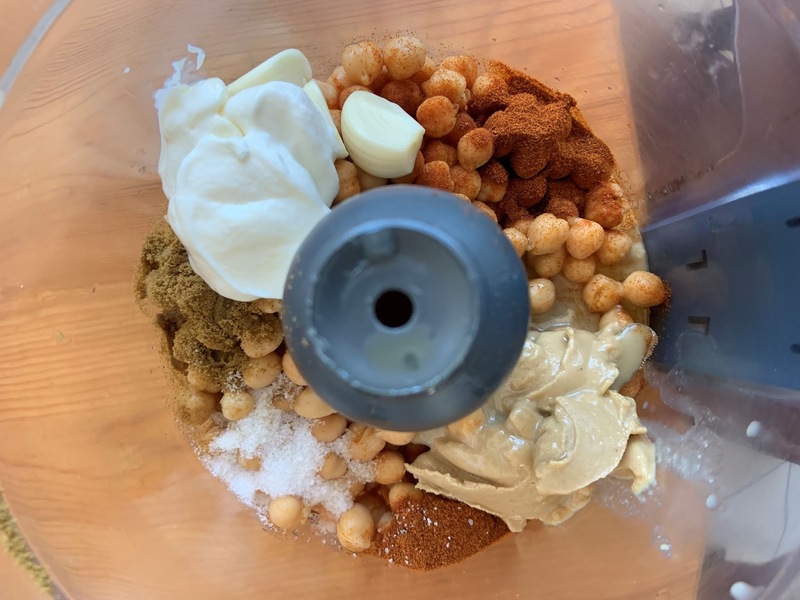 Put everything in a blender or food processor and blend it for around one minute. If it gets too tight, just add a sip of water to make it more fluffy (depends on your preferences). Put the hummus on a plate and decorate it with some olive oil, paprika and/or some whole chickpeas so that it looks as nice as it tastes (remember: you eat with your eyes first ;) ). If you want to have some extra flavor or to get different tastes you can take some of the hummus and mix it with dried tomatoes or a small piece of Avocado or some chili or wild garlic or other tasty ingredients. If you want a vegan version, just cut out the yoghurt from the ingredients!